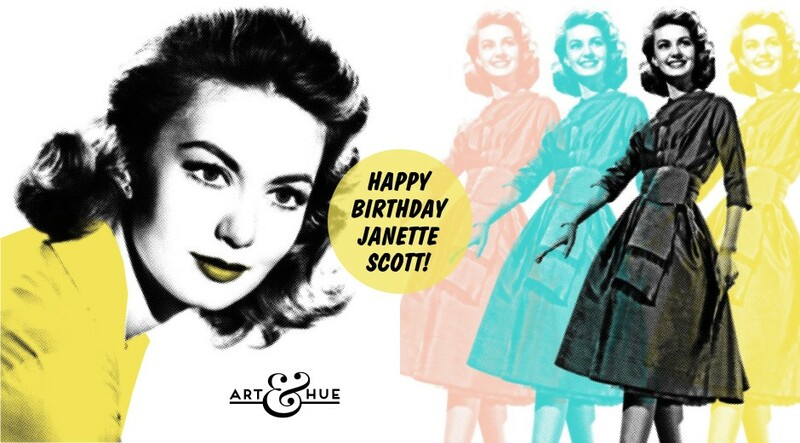 Today’s the birthday of film actress Janette Scott. 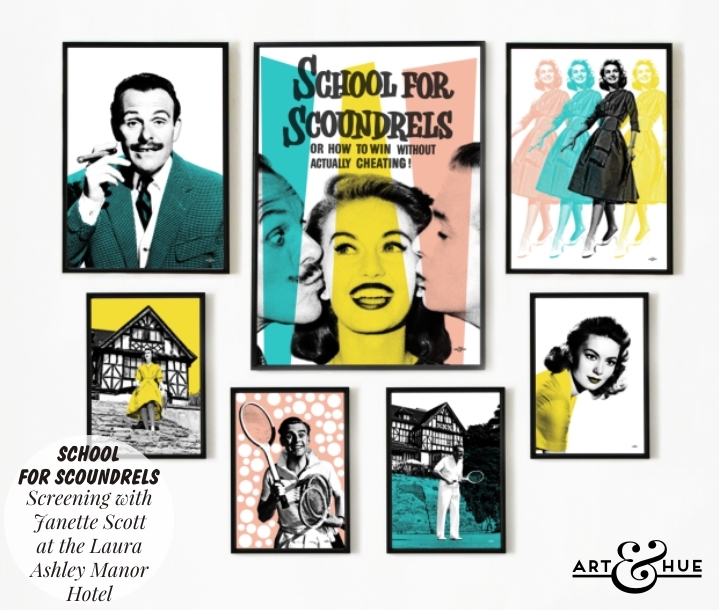 Star of many classic and charming films throughout the 1950s and 60s, Janette was the object of Ian Carmichael’s and Terry-Thomas’ affection in the enduring British comedy “School for Scoundrels”. 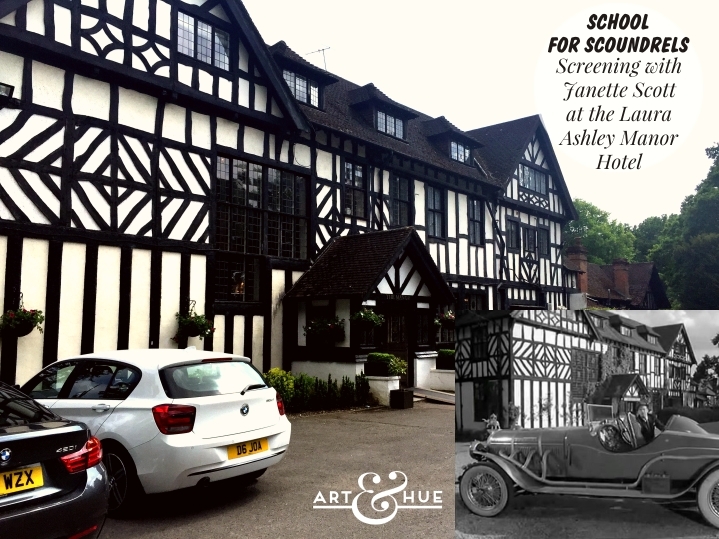 Back in May 2016, Art & Hue had a lovely day out to Elstree for the screening of School of Scoundrels at the Laura Ashley Manor Hotel. Not only was it wonderful to retrace the steps of Terry-Thomas but I also had the pleasure of meeting the film’s leading lady Janette Scott. Previously a members club, it became a hotel in 1969. 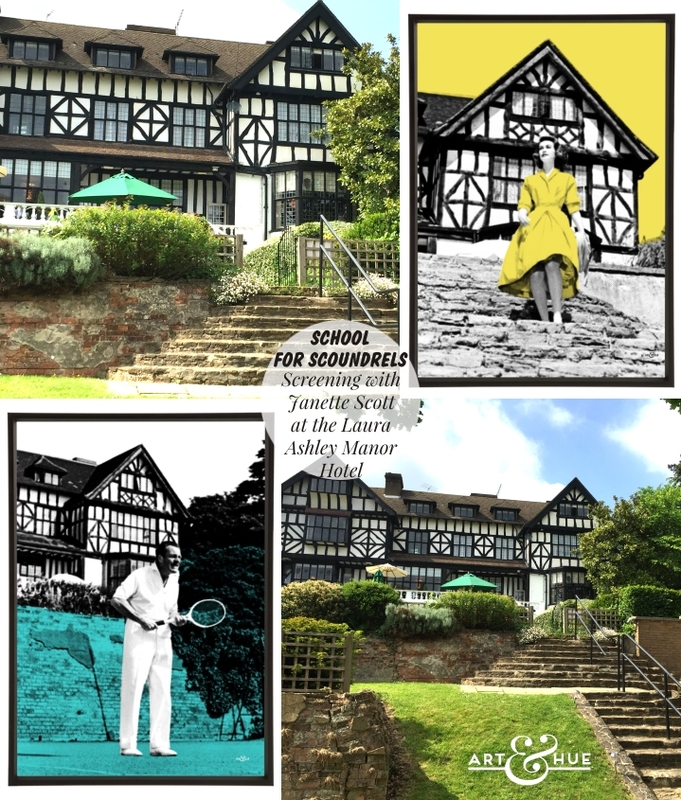 Formerly called The Edgwarebury, it was amazing to see the location of where Terry-Thomas and Ian Carmichael filmed the famous tennis scenes at “The Old Chippentonian Tennis Club” which inspired two of the art prints from the School for Scoundrels pop art collection. The building was also used as a location in The Avengers‘ episodes “Wish You Were Here” with Tara King and “You Have Just Been Murdered” with Mrs Peel. The event was organised by Elstree Studios as part of the ongoing celebrations to mark 90 years of the studios. 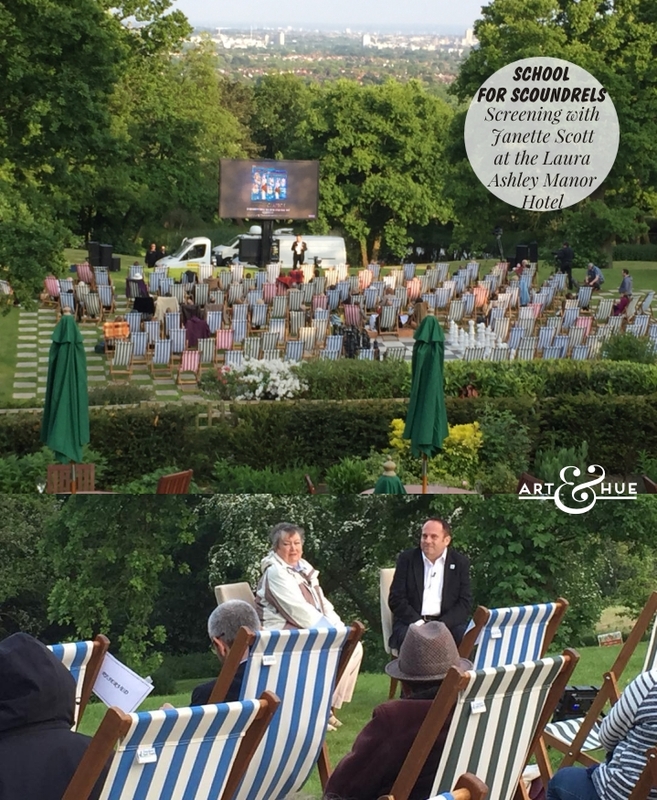 Charming deck-chairs were laid out for the screening on the very location where the tennis matches were filmed and after the screening, Morris Bright (the Chairman of Elstree Studios, and the co-author of the 90 Years of Elstree book) held a Question & Answer session with the film’s star Janette Scott. 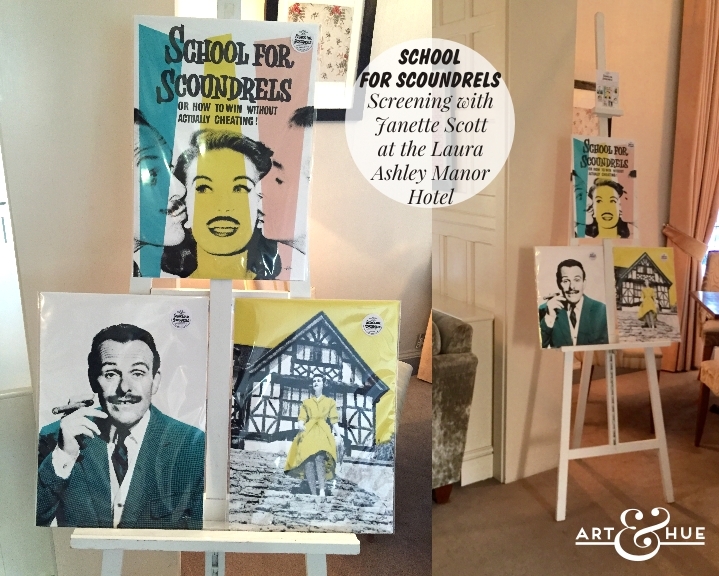 Three of the Art & Hue prints were displayed on an easel for attendees to discover when arriving for the screening and Janette Scott was presented with the pop art which thankfully she loved. It was lovely to meet her and great to hear how the hotel was exactly the same as it was back in 1959 when School For Scoundrels was filmed. 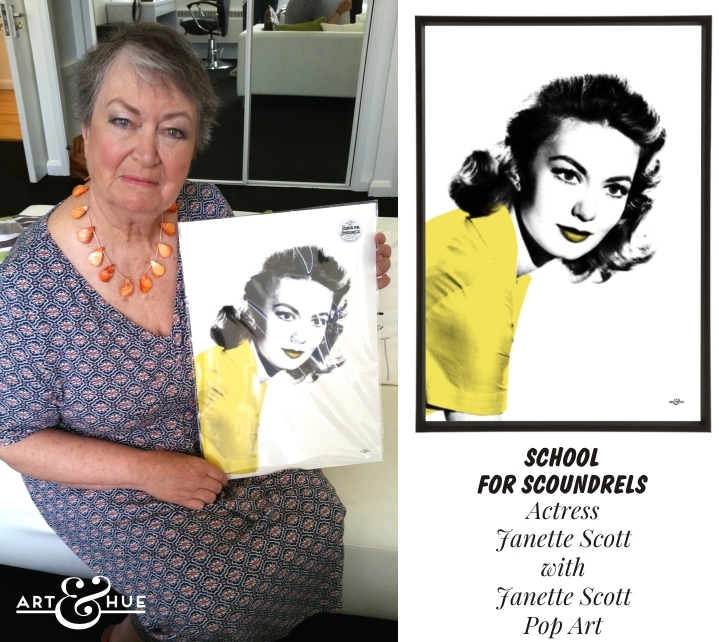 A wonderful day was made extra-special by Janette Scott holding my Janette Scott art print in the photo below. It was inspiring to work on the collection, delving into the archives, and gratifying to know that Janette now has the pop art too. How great is this photo! Huge thanks must go to Elstree Studios and Morris Bright in particular for organising everything and introducing me to Janette, as well as to Studiocanal who had the idea for the pop art collection to coincide with the screening.